We have had a lovely autumn here in the UK. 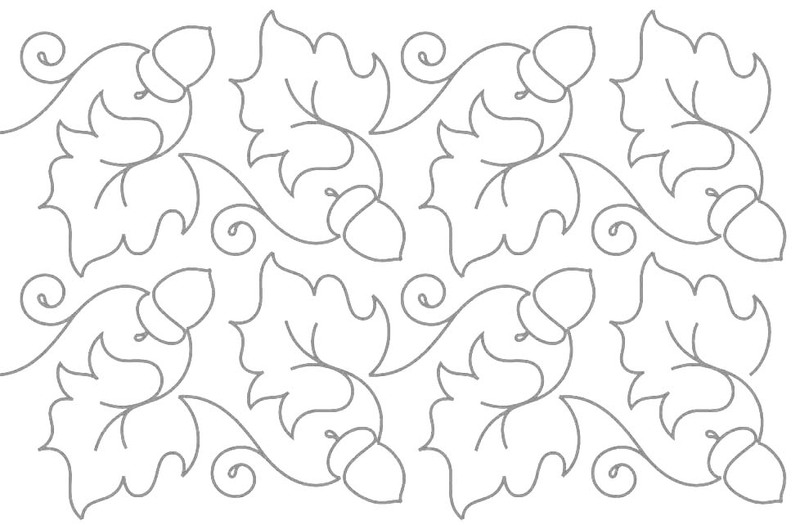 The days have on the whole been bright and sunny and the trees have been looking lovely in their autumn splendor. One of the best I can remember. 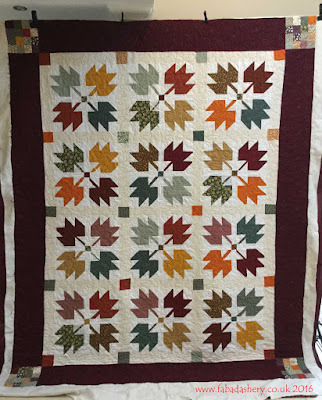 On one of those lovely autumn days I had the pleasure of quilting this 'Autumn Quilt' made by Penny. 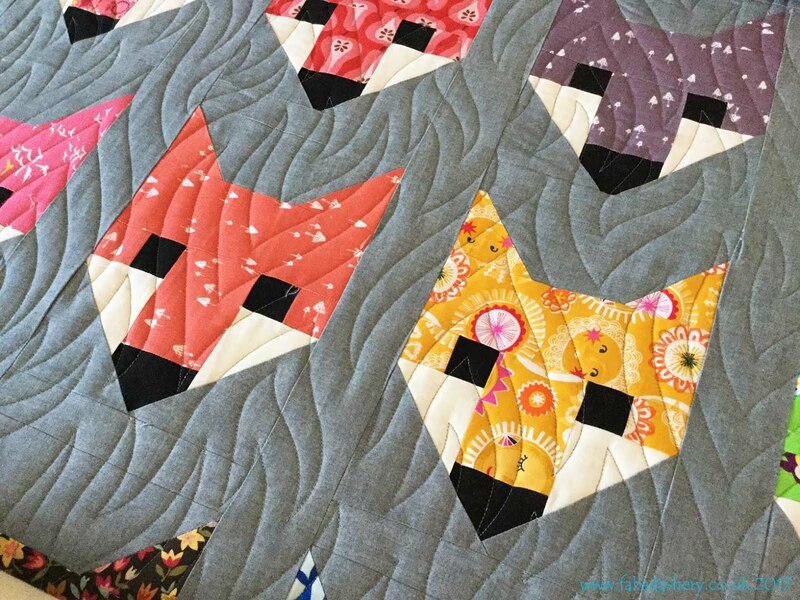 It is made up of Bear Paw blocks using scrappy fabrics in gorgeous autumn colours, to look like maple leaves. 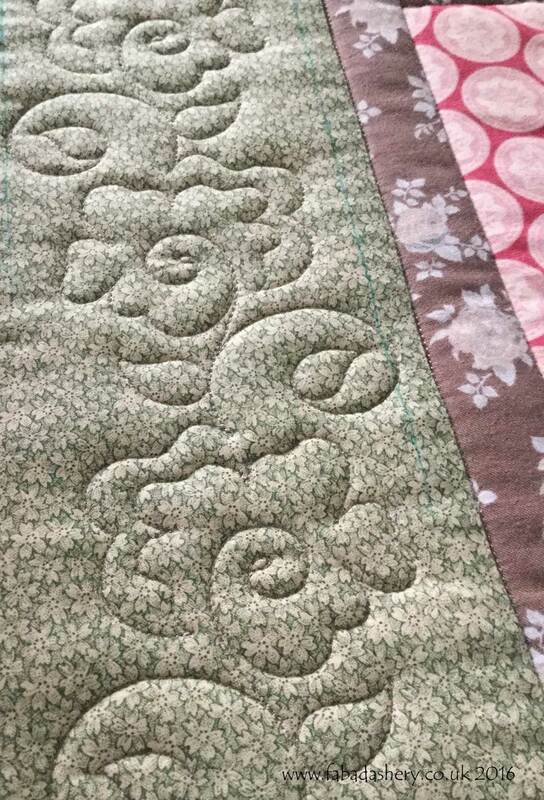 The quilt Penny made is huge and reached the ceiling when I hung it up, but now the nights are getting colder I am sure she is appreciating the cosy warmth only this special hand made quilt can provide. 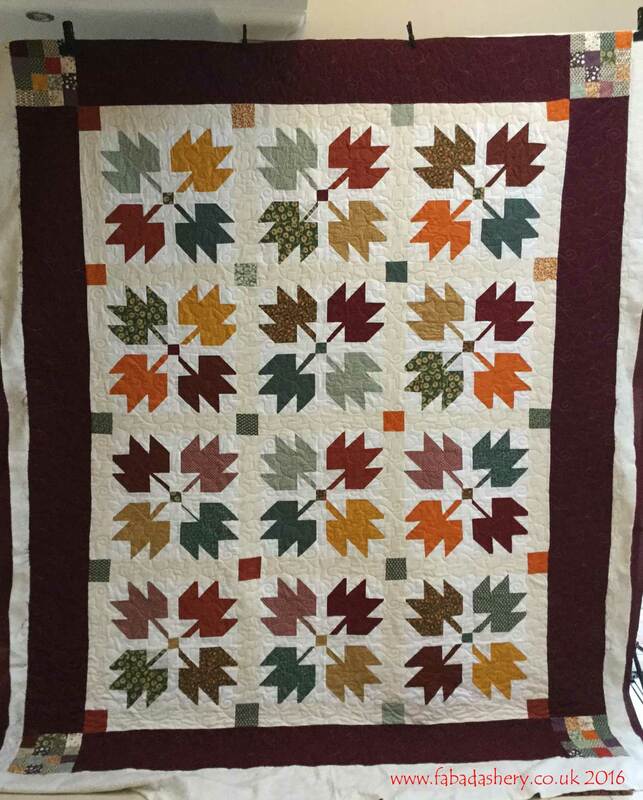 To add to the autumn theme, Penny chose an allover digital pantograph 'Indian Summer' by Patricia Ritter. 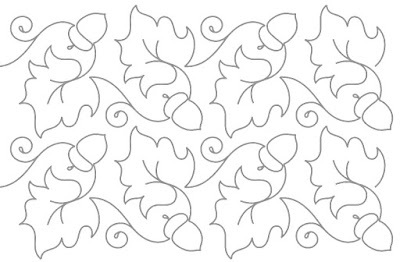 It features acorns and leaves and was beautifully showcased on the burgundy border. 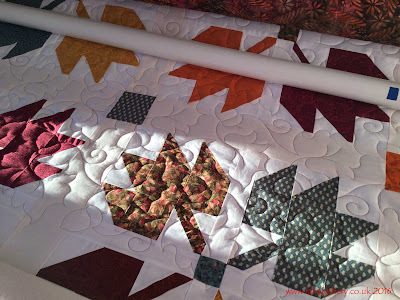 Once I had quilted it, Penny just had to add the binding and I know she has had a special quilt label made by Sam at Hoop It, Stitch It, to add to the back. It has been a frantically busy week, which has been exhausting, but ended on a high note. 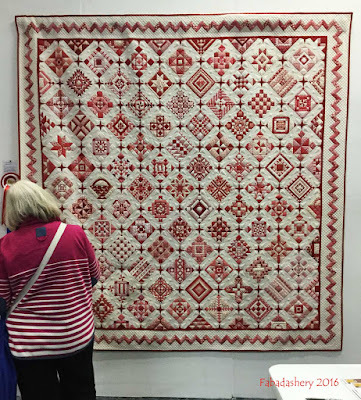 This weekend it was the2016 West Country Quilt and Textile Show held in Bristol. 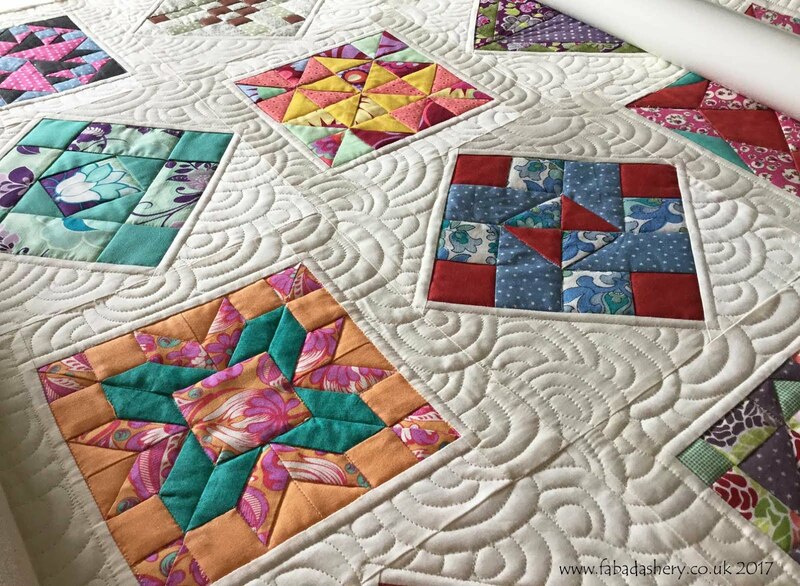 This is my local show and I had entered my Nearly Insane quilt into the competition. I wasn't able to get there until the last day and I had heard rumours that it had won a rosette! 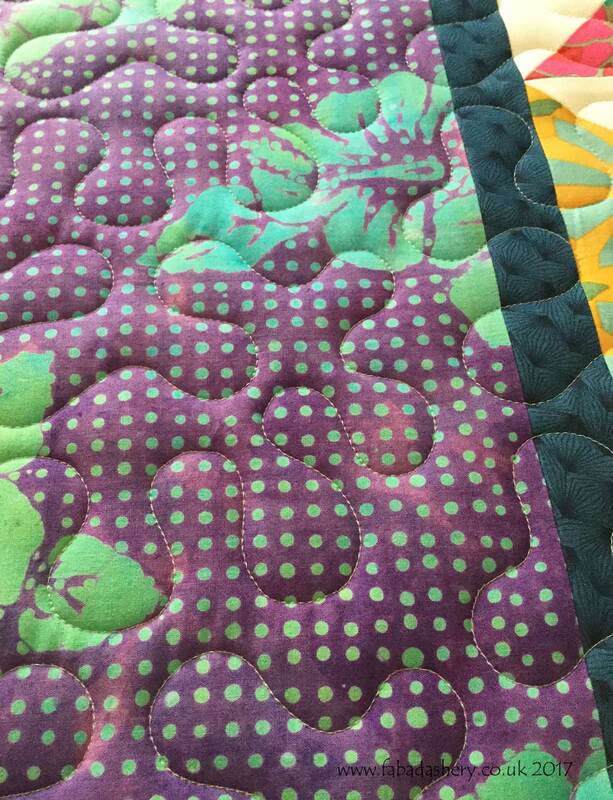 Being a local show I find that I don't always get to see much of it as I am always stopping to chat with quilting friends. 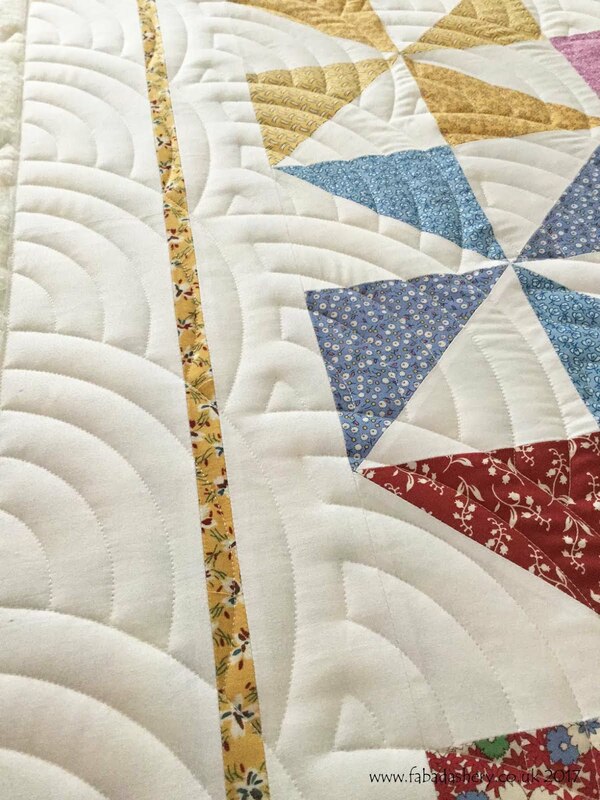 Anyway, I finally found my quilt and was pleased to see TWO rosettes - Best Bed Quilt and Best Traditional Patchwork. It didn't end there. 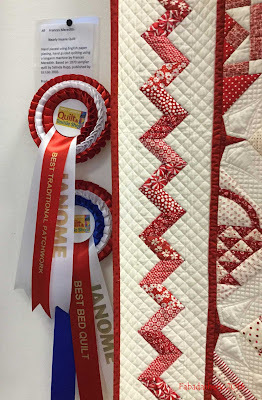 At the prizegiving I was also given the Visitors Choice award. 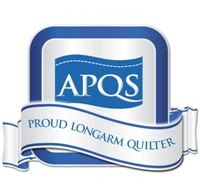 Thanks to everyone who voted - it is a real honour to receive this special award. Hang on - don't forget this cushion. 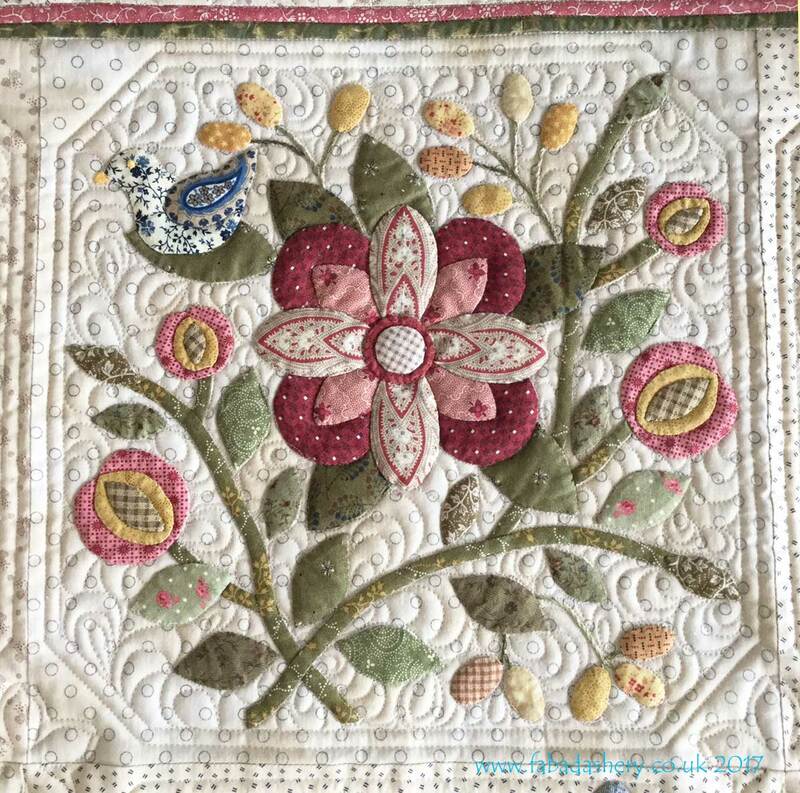 I had this cushion top staring at me in my workroom for over year. 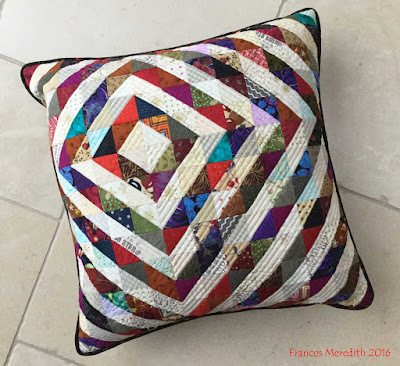 When I saw that there was a cushion competition I thought it would be a great incentive to make it into a finished cushion. Seven days ago it was still in pieces. Yesterday, it won a Best Cushion rosette. 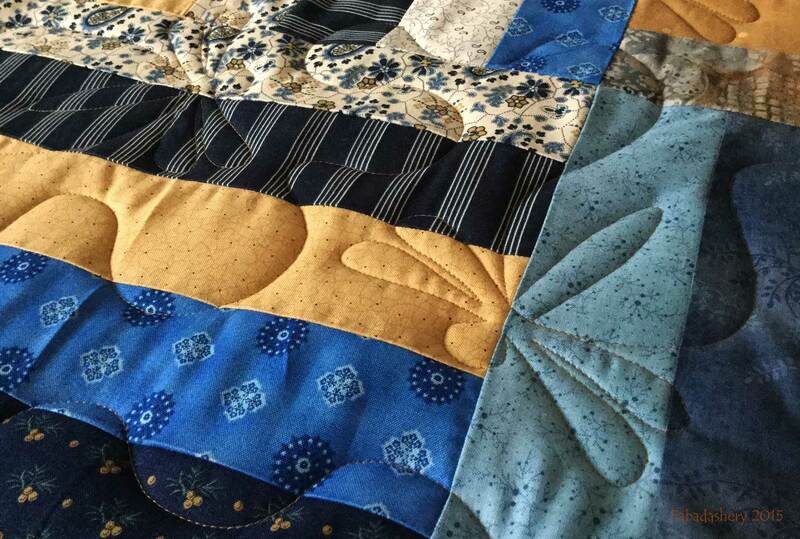 This cushion has 338 pieces in it and is made entirely from my scraps. 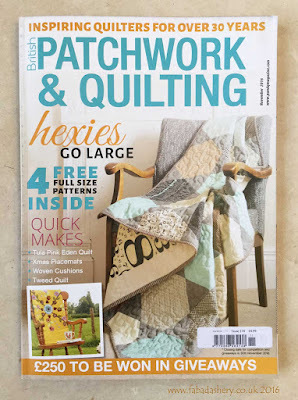 Last week I saw Helen Kent, the Assistant Editor of British Patchwork and Quilting Magazine and with a beaming smile she was keen to show me a picture of my Nearly Insane Quilt which was part of Joanna O'Neill's article on the Great Northern Quilt Show. What a thrill! 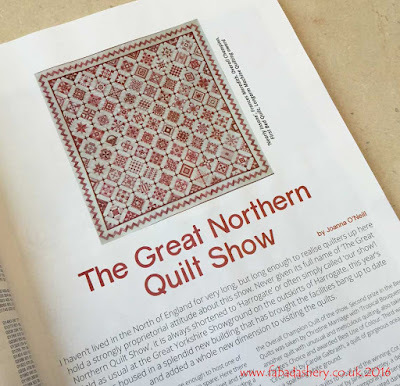 It was a great photo of the quilt and I loved the fact that the headline was in red too! You can find the article in the current November 2016 edition of British Patchwork and Quilting magazine. 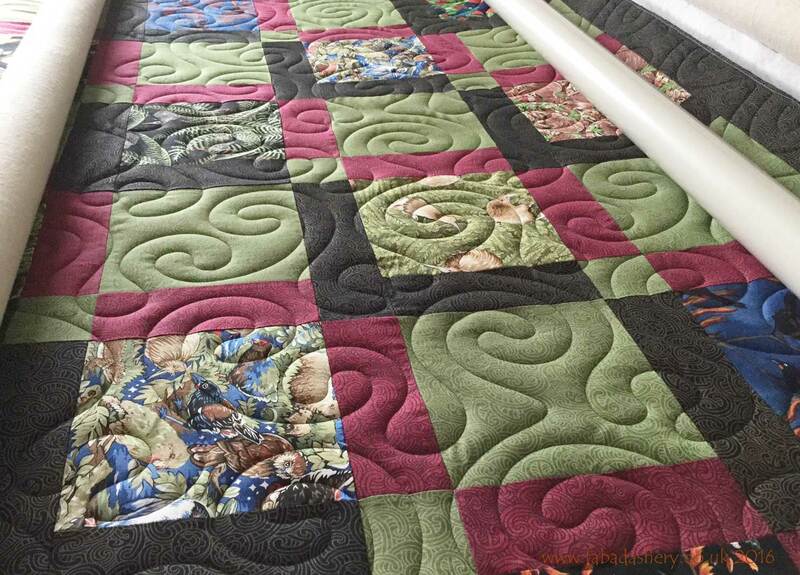 If you would like to see my Nearly Insane quilt in the flesh, it is currently hanging amongst the Bed Quilts at the West Country Quilt and Textile Show at the University of the West of England Conference Centre, Bristol, between Friday 11th November - Sunday 13th November 2016.